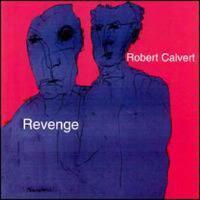 This disc by the late Calvert appears to be a compilation of various demos. The music on the disc, with the exception of one track, does not really resemble his Hawkwind work at all. The album is extremely short (under 25 minutes) and a bit rough around the edges in the production department. The material ranges from neo-classically oriented to Hawk-esque to just plain weird. This one would probably be for collectors only. The title track is a string-oriented arrangement in a playful, bouncy, quirky format. Based on a mechanically textured, quirky guitar based riff, this is a strange rough edged cut. Very much an unfinished track, a Hawkwindesque riff creates the central theme to this quirky piece. With a wonderful classically oriented arrangement, this one feels a lot like Hawkwind done with orchestral instruments. It is an odd and quirky piece with great textures. It is very dramatic.